Each summer, as food supplies get low at SHARE’s Food Bank, SHARE Family & Community Services launches the “Remember the Food Bank” campaign in July to raise food and funds to help restock the Food Bank shelves. The SHARE Food Bank feeds over 300 Tri-Cities families every week of the year. During the summer months, they typically see a drop off in donations, as school ends and families head off on summer vacation. Unfortunately for so many in our community, hunger doesn’t take a summer vacation. The strain is even greater for families, as kids who participate in various breakfast and lunch programs at their schools during the school year no longer receive those meals. Because of the generosity of the Tri-Cities community, once again this year SHARE was able to reach the target for the Remember the Food Bank Open House and Food Drive by raising 1000 pounds of food and over $10,000. Food donations will help fill the depleted food bank shelves and financial donations will enable SHARE to purchase food in bulk for better pricing and purchase items that rarely get donated but are much needed. 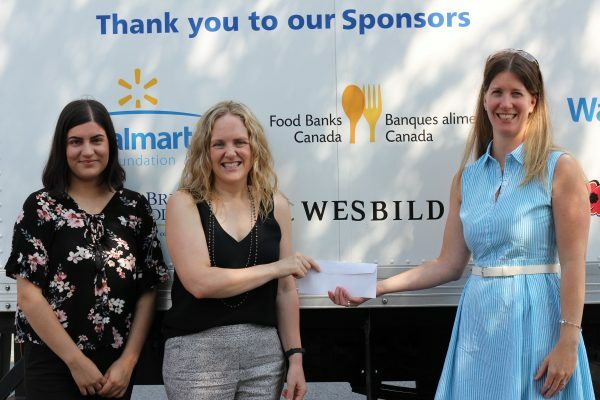 Wesbild was honoured to donate $1500 to put SHARE over their financial target. Hunger doesn’t take a vacation and we are proud to continue our ongoing relationship with SHARE as they support the Tri-Cities community. Learn more about SHARE Family & Community Services and their important work here.